Reproduced below is Ron Ramdin’s important account of Leicester’s famous Imperial Typewriters strike, as told in his book The Making of the Black Working Class in Britain (1987), pp. 271-280. By 1974 a dear pattern had emerged. Indeed, the ‘apotheosis of racism’ and the ‘resistance to it’ was reached during the strike at Imperial Typewriters in Leicester. Significantly, this firm was a subsidiary of the multinational Litton Industries. The trade union’s position in this strike was revealed by the TGWU [Transport and General Workers’ Union] negotiator, George Bromley, a JP, ‘stalwart of the Leicester Labour Party’, and one of the ‘lieutenants of capital’. Bromley’s comments reflected a greater readiness to understand management’s desire to maintain exploitation of the predominantly Asian workforce at the existing level. His lame excuse that these Asian members of his union had ‘no legitimate grievances and it’s difficult to know what they want’, was copping out of his official responsibility. 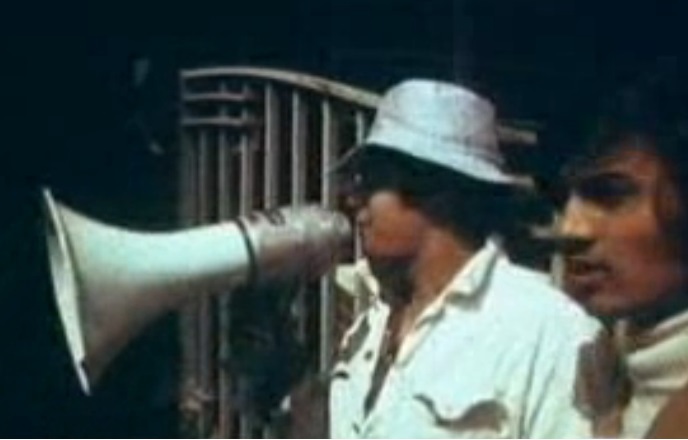 Whose side was Bromley really on in this major industrial dispute involving Asian workers? Was he unaware of the ownership and control of Imperial Typewriters? A little background to this company is necessary in order to set this dispute in its proper context. Established in 1908, Imperial Typewriters had by 1960 achieved an annual profit of £571,000. Its Leicester base was extended to premises in Hull. However, profits were not maintained at this level throughout the 1960s. In fact, there was a down-turn through the decade because of ‘foreign competition’. In 1965, for example, annual profit fell to £360,000 and by 1966 it was down to £267,000. The company’s shares at a book value of 23/- in 1960 dropped to 16/3 in 1966. The prosperity of the small firm throughout the 1950s was now a thing of the past. The international depredations of monopoly capital had made their impact. The growing and expanding multinational Litton industries, based in Delaware in the United States, sought access to ever cheaper labour and new markets. The growing difficulties of the British firm made it easy for take over. Consequently Litton industries moved in on the British scene i:n 1961 dealing in London office machinery. By 1966, as a producer of ‘Royal’ typewriters in the United States, it was poised to move into the British typewriter market. During the year, Litton made a bid for Imperial Typewriters, at a share price of 16/3. Eventually, for a total price of £1.9 million, Litton bought 100 per cent control of a business whose property assets alone were valued at £1.7 million. Given a growing pool of cheap East African Asian labour there was reason to be optimistic. At the time, Litton International was the second largest typewriter company in the world, with a controlling interest in Olympic business machines, and Triumph and Adler typewriters. In 1972, the company owned 267 major manufacturing plants and laboratories and 1393 factories in 31 countries. Its interests extended to building the navigation and control systems of the United States Army, Air Force and Navy. Also in 1972, the company’s annual turnover was $2,476,623,000. It was therefore, not surprising that Litton’s control over Imperial Typewriters had wider implications. Soon much of its production was moved to Europe. Having installed new machinery and generally updated its production operations in Leicester and Hull, the number of workers employed by IT doubled, from 1900 in 1968 to 3800 in 1972. Interestingly, until 1968, Imperial’s employees were all white. Thereafter, it was noticeable that recruitment was centred largely on Asian workers. Productivity of these migrant workers brought about a turnover which more than trebled between 1968 and 1972 from £3,346,000 to £10,762,000. The surplus value per worker during this period reached more than 50 per cent, and since 1972, although productivity ‘increased enormously’ bonus levels were re-negotiated downwards. To further reduce labour costs, more women were employed. Black workers had made a fundamental contribution to the firm’s success, yet their grievances were ignored. After all, Asian women workers are regarded by multinational employers as passive. The strategy of using fear of unemployment was resorted to at every opportunity to keep these workers in passive servitude. Of the 1600 employed at the Leicester factory, approximately 1100 were Asians. As they became impatient with their grievances being ignored, it became clear that there was an unholy alliance between the union full-time official and the employers’ representative. As the politics of Litton International was being played out, the Asian labour force, bought on the cheap, were pawns in the game. Even so, there was a limit to depression. The rumblings came to a head on May Day (the day of international working class solidarity) when workers from four firms in Leicester took action. The walkout involved 300 workers at the British United Shoe Machinery; 300 at the Bentley Group, 200 at the General Electric Company factory in Whetstone, and 39 Asian workers who left section 61 of Imperial’s factory. The substantial numbers engaged in the walkout action from the first three firms soon walked back to work. In spite of this psychological disadvantage the majority of those workers who walked out from Imperial’s factory stayed out, and managed to bring out a further 500 workers with them. This withdrawal of labour had the desired effect: within a few days production fell to 50 per cent of normal and fell much further as the strike entered its fifth week. The Asian workers had struck because of a deep feeling; the cumulative effect over a long period of ‘economic wrong doing’ and racial exploitation. At the beginning of the strike, the main issues were about bonus rates and producing progressively, first 16, 18, 20 then 22 machines every day for the same wages. But, as the strike evolved, a host of related grievances became integral. Moreover, the strike was about racism reflected in the election of shop stewards and the preferential treatment for white workers who could dock in their mates, while Asians were not allowed to do so. Further, the strike was about the ‘dignity of human beings, the right to go to the doctor when they were ill or to take time off to look after their children’. The strikers demanded their own shop steward to be elected by their section, who would not just negotiate on the question of production and bonuses, but also on all the important restrictions that made up their daily working lives compared to those of white workers – washing time, tea breaks, lunch breaks, toilet breaks, and so on. In the course of their demands to Reg Weaver, the TGWU factory convenor, they found out that although they were being paid bonus on a target of 200 or more, they were in fact entitled to bonus on 168 (an agreement which dated back to 1972, and would have meant an extra £4 per week). It was this discovery, heaped on top of management’s oppressive organisation of production that sparked-off their revolt. Having walked out, the manner in which the strikers picketed and conducted themselves, and the strategies and creativity they brought to bear on the struggle were instructive. It seemed clear to them that traditional, hidebound British trade unionism could not cope with their legitimate workplace problems. As the strike escalated into a major industrial dispute, the Asian workers from East Africa brought, as one commentator put it, ‘a vivacity and style to it that makes it unique’. Between 50 to 200 workers manned the picket line continuously. The women workers played a central role. They engaged in a ‘fearful howling and hollering’, whenever a scab or representative of management appeared. Tremendous noise (echoing down the street) was an outstanding characteristic and an effective factor in the picketing. The myth of the Asian woman’s passivity was debunked as her presence was not only felt, but heard. These women showed great courage. In the midst of their isolation, the odds against them seemed even greater. In spite of the ubiquitous presence of the police, the immovable unsupportive position of the union (in refusing to make the strike official) and the hostility of the employer and the indigenous working class, the Asian strikers on the picket line remained undaunted. As the struggle wore on, Asian youth increasingly became a part of the strike scene. Others took an intermediate position. One East African Asian served as a go-between (interpreter) between the Asian strikers and his fellow-policemen. Needless to say, he was taunted and made the target, especially of Asian youths. As the struggle gathered momentum, there were other spin-offs. The emergence of Asian youths in the struggle worried state officials who were already faced with controlling West Indian youth. Later this would have implications on social policy. Together, these youths, with no background of employment experience and no real work prospects in the foreseeable future had little to lose by demonstrating the plight of the black working class. Their parents’ struggle had, in effect become theirs, a family/communal affair. By the third day of the strike, the strikers from section 61, who had been led by women workers announced that Hasmukh Khetani and N.C. Patel were their unofficial leaders. The women leafleted and picketed the relevant sections of the factory and were joined by 500 other workers for a meeting in Spinney Hill Park at which the original strikers demanded that ‘their bonus, out of which they had been fiddled, should be backdated to January 1973, and that new rates should now be negotiated on the basis of their present position’. As the strikers gained more support from people in the factory, their collective power and resolve grew. Thus fortified, they demanded an end to the use of racialism by management to divide workers; they called for democratic elections in the trade union and reiterated their demand for backdated bonus payments. Sensing the strikers’ implacable resistance to its malpractices, the company’s response was positive and predictable. The original strikers were notified that they would be sacked if they did not return to work. In the ensuing deadlock third parties intervened. Tom Bradley, the local MP and President of the Transport Salaried Staffs Association tried to get the workers back to work. He said: ‘I told the strike leaders they were getting nowhere by walking the streets and urged them to adopt the proper procedure by returning to work and resuming discussions under an independent Chairman. ’38 This was trite nonsense, for after many months of complaining, their reasonable ‘discussions’ through the proper procedure got ‘nowhere’ in the factory. Bradley, however, was not alone. He was supported by Reg Weaver, the local TGWU convenor. Predictably, these gestures were rejected by the strikers, who stood by their demands. They would not be tricked back to work. In fact, they injected a broader perspective in the struggle, by calling on ‘all workers, men and women, black and white’. Indeed, all who worked at Imperial. By the end of the first week of the strike, on 7 May, the effectiveness of the strike was evident. The factory was down to 50 per cent of its normal production, and more than 500 workers were on strike. In this unprecedented action, the workers were out on a limb. But, they were free from the bureaucratic trappings (rules and regulations which had not anticipated or considered their introduction into the British workforce) of trade union organisation. Freed from these trammels, the workers invented new ways and means of achieving a more effective strike organisation to further their cause. Thus, the ‘grievance meeting’, a mass meeting of the strikers came into being. Individuals expressed their grievances and the salient issues arising from these taped interviews were co-ordinated into a series of demands by the central Strike Committee. Thus, a close bond was forged between the strikers and their leadership. As the confidence of the rank and file grew, so too did the number of militants. Nine days after the strike started, the company sacked 75 of the original strikers. In protest against this action, the workers refused their cards. Instead, they sent them back. Was this cheekiness on their part? Or was the initial act of dismissal an insult to their integrity? Moreover, they formulated a list of demands to be negotiated with the company. Although the company was ‘willing to talk’, Reg Weaver, feeling that his authority had been undermined, hindered the process. He said he was not ready to talk to any but the strikers’ leaders. In his diligence to undermine the strikers, Bromley conveniently discovered a TGWU rule to the effect that workers could not be elected as shop stewards until they had been at the factory for two years. While this kind of shop floor democracy was later repudiated by Jack Jones, the Union’s General Secretary, it never occurred to Weaver that perhaps a change in the rule (or more accurately, facing trade union racism) might be necessary. As the mass picketings and demonstrations intensified, police were called in. But things had already gone too far. A ware of the task confronting them, the strikers appealed to workers in other factories represented by the same branch of the TGWU. Four factories with large Asian memberships aided the strikers with donations to the strike fund and pledged a 24-hour stoppage at their factories ‘if and when needed’. Significantly, at that point in the struggle, ‘race and a sense of community’ constituted the vital power base of the strikers. Still, the rest of the Leicester white working class remained unmoved. The strikers were determined to demonstrate their commitment and sense of solidarity in the hope of winning crucial support from other workers. On Sunday 19 May, the Strike Committee called a mass meeting and 2000 people demonstrated through Highfield. Three weeks after the strike, factory production had ‘slowed to a trickle’, and six workers faced fmes of £315 for obstruction and assault on the police. With little positive support from the labour movement, the Race Relations Board intervened. They were invited by Benny Bunsee, a South African Asian who had helped Asian workers in an earlier strike. But although the Board’s intention was to carry out a preliminary investigation, which was welcomed by the union officials and factory management, the strikers were sceptical. Given the urgency of their demands, they felt this intervention would lapse into a slow and tardy process, and more importantly, it was unlikely to meet their demands. The Board’s intervention came as no surprise. George Bromley had been a founder member of the East Midlands Conciliation Committee on the Board. According to one report, he had resigned due to pressure of work. The Board’s intervention, however, was timely. By the end of May the strike had begun to take its toll. Most of the strikers were officially sacked by Imperial Typewriters and were therefore ineligible for social security. In these circumstances long drawn out inquiry was the last thing these courageous Asians needed. As far as they were concerned the Race Relations Board was ‘a toothless Bulldog’. However, attempts at intervention to end the strike continued. At that point, David Stephen’s (of the Runnymede Trust) proposal of the intervention of Michael Foot (then Minister of Employment) was also ignored. 39 Fundamentally, the strike continued. The picketing was maintained and the grievance meetings were held regularly. Individual grievances were voiced and the nuances of discontent shored up the central issues which remained in the foreground of the strikers’ minds, thus maintaining the strike’s momentum. As the strike entered its tenth week, forced by the creativity and solidarity of the Asian workforce, Bromley retreated from a ‘position of rational collaboration with capital into the realms of social fantasy’. The amateurs were now regarded as ‘professional agitators’. As far as Bromley was concerned, the strikers should go back to work and reach some agreement according to the rule book. For the strikers, however, having endured a wageless 10-week struggle (during which substantial hire purchase debts were defaulted) there would be no return without victory. The preposterous idea of Chinese Communist money was regarded as a sick joke. In fact, the strikers were desperate for money. On this question of money, support came from the community and political organisations and meetings. For example, the Birmingham Sikh Temple contributed £125, the Southall IWA £50, the Birmingham Anti-Racist Committee £14, the European Immigrant Workers Action Committee £12 and the Edinburgh Women’s Conference £40. While the needs of the strikers were amounting to large sums of money weekly, such contributions as were made came to them in ‘dribs and drabs’. Heaped on the financial problem was the combined pressure of management manipulation, alleged union collaboration with them, and a constant barrage of racist propaganda from the Leicester branch of the National Front. In the face of all this, the strikers stayed out. This was an extraordinary strike. 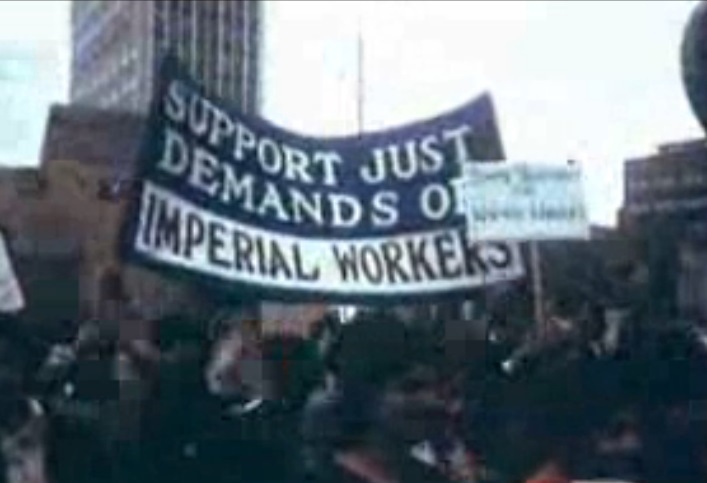 Whereas an ‘ordinary strike’ would have collapsed within days because of an initial lack of commitment by workers or a lack of union support, or both, the strikers at Imperial Typewriters responded with a strength and creativity which would help to shape the future of the black working class struggle. Free from the unprogressive traditions of British trade union bureaucracy, and newly proletarianised after leaving East Africa, and the Indian sub-continent, the Asian strikers brought certain notable qualities to their struggle: a spirit, an approach and a willingness to try any tactic. This experience of migrant workers provided lessons, particularly for the trade unions and the wider labour movement. The TGWU, supposedly an organisation of the working class in fighting against capital, was exposed as a vehicle for the further accumulation of capital. Indeed this had been the case in earlier disputes; for example, Woolfs and Rockware Glass in West London in 1965, Malmic Lace, E. E. Jaffe, Jones Stroud, British Celanese and Harwood Cash in 1973, Perivale Gutterman, and Coventry Art Castings. Interestingly, the black migrant workers chose to remain within the framework of the union (in spite of alleged ‘communist’ infiltration in the hope of getting union support for their demands. Instead, the union set up an inquiry to look into the conduct of Bromley and Weaver, and their role in Litton International’s dealings. No strike and no ex-officio payments were forthcoming. Still hopeful the strikers welcomed the union inquiry. While the inquiry was being conducted, mindful of the role of colonial Royal Commissioners, the strikers became disenchanted. Put simply, their positive feelings were to ‘Throw the bastards out’. This became a recurrent theme among black working class organisers. As the strike dragged on, the central power base increasingly became the independent intervention of Asian women. Of vital importance to this strike, and others (and underlying it all), was the question of the role of the union and the common experiences of the vast majority of black workers in Britain. This raises many important questions. For instance, when the IW A unionises a complete foundry and then hands over the membership to the TGWU, is that really the best way forward for black workers? And why the dichotomy between black and white members of the union and Bromley’s role in it; and more fundamentally was there a racist ramp among white workers on the shop floor and elsewhere in British society? When the Imperial Typewriter factory closed for two weeks’ holiday, picketing was suspended. However, the struggle continued with the strikers maintaining contact with each other, essentially through lectures, discussion groups and two evening concerts. They persisted in seeking TGWU rank and file support nationally, sending letters to branches all over the country. Furthermore, they called for a national solidarity committee, coordinated by Race Today, ‘to collect money, to circulate information, to organise pickets on Litton’s branches across the globe, to support the pickets and to involve Asian workers and all workers in active support for the struggle’. But foremost in their mind at all stages in the strike was the hope that the TGWU would make the strike official. This was a vain hope. Finally they lost their jobs as Litton industries decided to close down the factory rather than make even the minimum concession to the strikers’ demands. And since the union did little to prevent this, it must be implicated as contributing to this end. Indeed, race emerged as the major divisive issue within the British working class. In the aftermath, the strike’s casualties were counted. By the end of July 1974, management issued notices sacking most of the strikers. Nine arrests were made on the picket line and the struggle was directed to London where 200 workers lobbied Transport House (the Labour Party headquarters) to make the strike official. Instead of badly needed support, they got a promise of an inquiry by Jack Jones and Moss Evans of the TGWU. In effect, the disowned strikers were left to struggle on their own. The wider trade union and labour movement remained largely deaf to the appeals of the Asian workers. Lessons of the strike: This strike showed (i) how the Imperial Typewriter factory at Leicester, a ‘cog in the multinational corporation wheel’, was used as a meeting point of cheap labour and access to markets; (ii) how the prevailing rate of pay for men was £14 below the national average, while the women workers’ pay was £6 below; (iii) that cheaper sources of labour were sought from white female workers and Asians from both the Indian sub-continent and from East Africa; and (iv) how the union collaborated in this international scheme of things, acting as the ‘lieutenants’ of capital, more concerned with people ‘learning how things are done in a civilised society’ than mobilising sections of the class for political change. Of fundamental importance in this strike was the move away from the trade union directives which was a source of political strength. In effect, this meant control of the action of the rank and file. Thus the ‘grievance meetings’ of the entire strike force became the organisational focus. Significantly, the power of the women came not only from their being half of the strike force, but from their position as mothers and housewives in the community. Not only did they see capital giving them a low wage, they saw it snatched back by inflation. In the past, Asian women fully supported the industrial demands of their menfolk. Given low wages, they had no choice. The alternative was scabbing. This strike was unique in that the women had the collective power to make their demand for equal pay a priority. They were the latest section of the working class to fall into factory production. As younger and more recent recruits to factory employment in Britain, their acute awareness of the problems made them less willing to take the horrors. Their militancy on the picket lines, their forcefulness at the grievance meetings and their determination to fight till the end were all proof of this. Later, the Asian workforce would be tried and tested again, in the epic struggle at Grunwick.